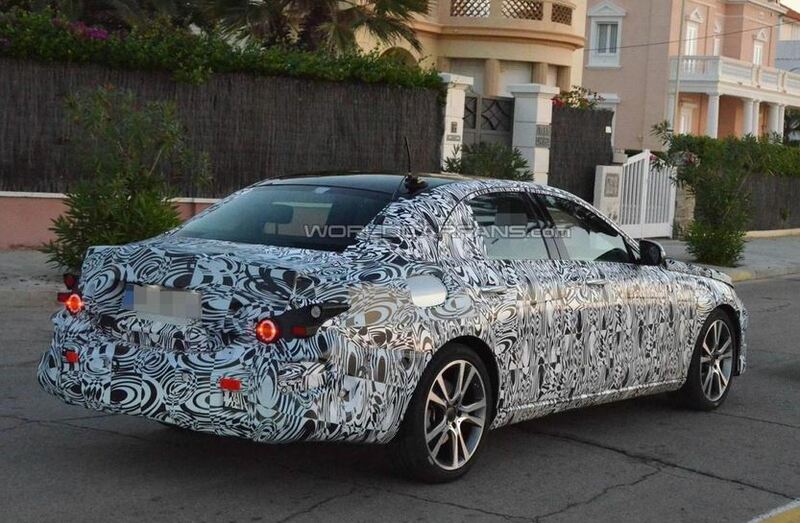 A prototype of the Mercedes E-Class W213 has been photographed during preliminary testing. According to the producers, multiple versions of the car wil be available in 2016, aside from the sedan. Buyers will most likely get to choose between coupe, estate and convertible. An interesting change is said to come concerning versions. For instance, open – top cars will become more luxurious, while drivers who preffer sportier looking cars are advised to go for the fixed roof versions. Changes to the new E – Class are already evident, as the car increses in size although weight diminishes as a result of switching to the MRA platform also used by the C-Class. Basically the change in size will translate into better conditions. A more spacious interior cabin with additional legroom for rear passengers is a direct result of the changes made to the car’s dimensions. But then what are confort and looks whithout power? So good news keep coming. The new E-Class will bring a new family of straight-six gasoline engines which will have displacements ranging from 2.2 to 3.5 liters. The engine lineup will most likely be a version used on the Mercedes AMG GT and C63 AMG, the V8 4.0-liter twin-turbo. Also, some of the engines will probably be offered with a nine-speed automatic gearbox. 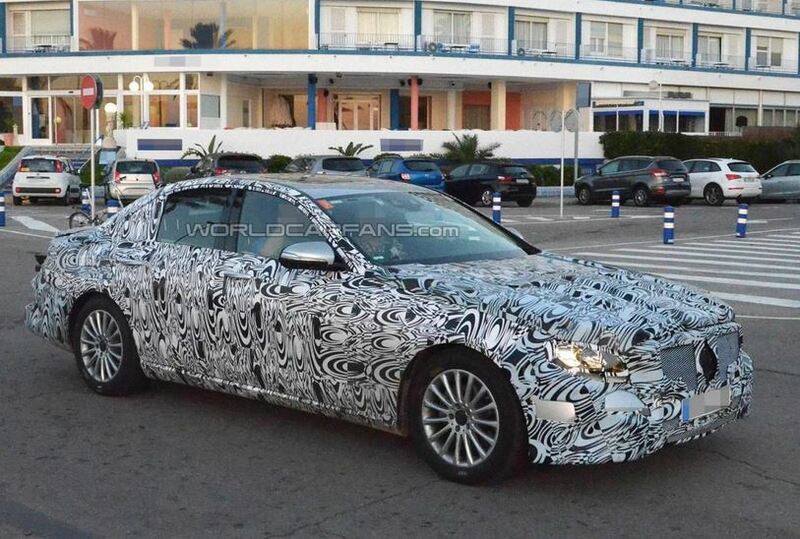 According to the producers, the new E- Class will go on sale by march 2016. 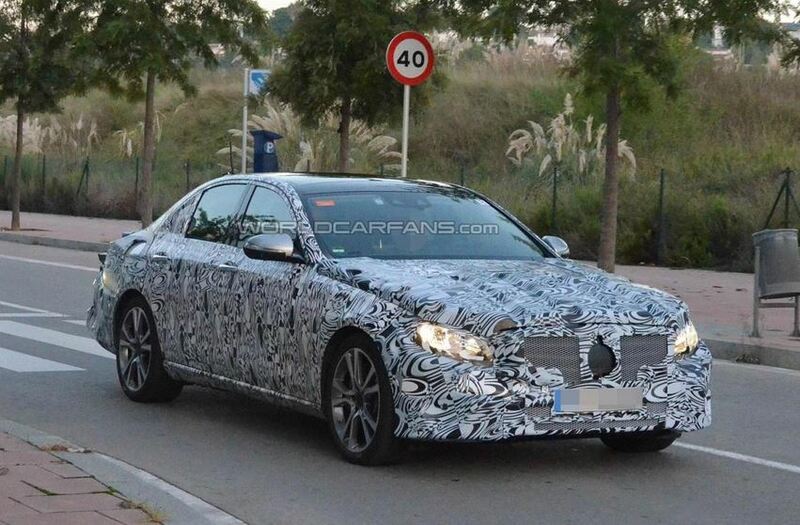 This entry was posted in Mercedes-Benz and tagged E-Class (W213), Mercedes, Mercedes E-Class, Mercedes E-Class (W213), spied, Testing. Bookmark the permalink.